Xiaomi has finished working on the successor of Redmi Note 5 Pro, which will be called as Redmi Note 6 Pro. A new video has now surfaced on YouTube revealing the complete specifications and design of the upcoming handset. 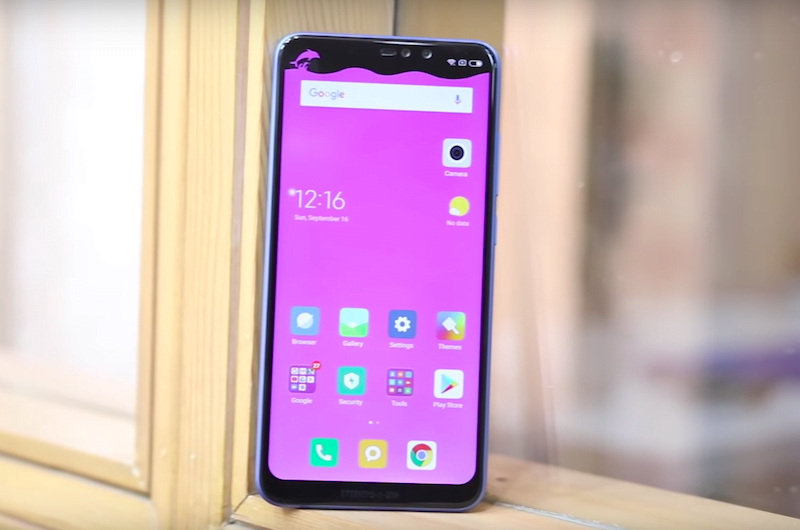 While Xiaomi already has started manufacturing the smartphone, it will be interesting to see when the smartphone goes official as the Redmi Note 5 Pro was launched earlier this year in February. 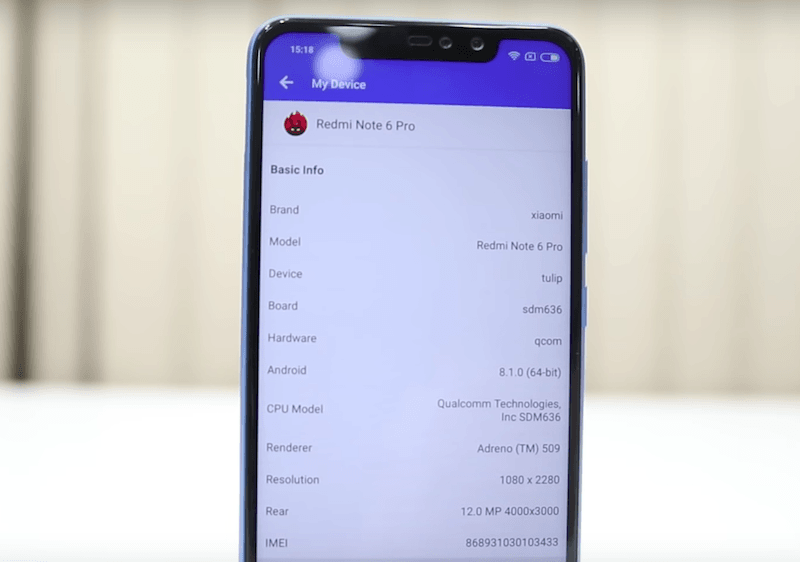 Going by this video, the Redmi Note 6 Pro will be an iterative upgrade to the Note 5 Pro with improvements to design, display and cameras. Also, it will be powered by the same Qualcomm Snapdragon 636 chipset, unlike the rumoured Snapdragon 660 SoC. One of the significant changes we will see on the Redmi Note 6 Pro is the notched display on the front. Unlike the Note 5 Pro, the Note 6 Pro will have a 6.26-inch Full HD+ display on the front with 19:9 aspect ratio and a resolution of 2280×1080 pixels. The display will be topped by 2.5D curved glass. Underneath, the smartphone will have the Qualcomm Snapdragon 636 chipset, clubbed with 3GB/4GB of RAM and 32GB/64GB of internal storage. The video did not reveal whether the phone will have a dedicated microSD card slot. It’s a Dual SIM smartphone running Android 8.1 Oreo-based MIUI 10 on top. Optics include two cameras on the front and two cameras on the rear. While the Note 5 Pro already featured dual cameras on the rear, the dual selfie cameras is undoubtedly an upgrade. A 12MP primary sensor on the rear with dual-tone LED flash, 1.4um pixel size, dual-pixel autofocus will work in tandem with a 5MP secondary depth sensor. On the front, the Note 6 Pro will rock a 20MP primary sensor coupled with a 2MP depth sensor. Lastly, the device will be backed by a 4000mAh battery and the fingerprint scanner is placed on the rear side. The device will have an Infrared sensor and offers Dual 4G support. The Redmi Note 6 Pro will be very much identical to the Redmi Note 5 Pro, but there are some changes you need to know. Firstly, the upcoming handset will offer a notched display. Also, as you can see from the images, the edges are more curved now and the device resembles the Redmi 6 Pro a lot from the rear. Internally, the hardware will be similar, but there may not be a 6GB RAM version of the Note 6 Pro. 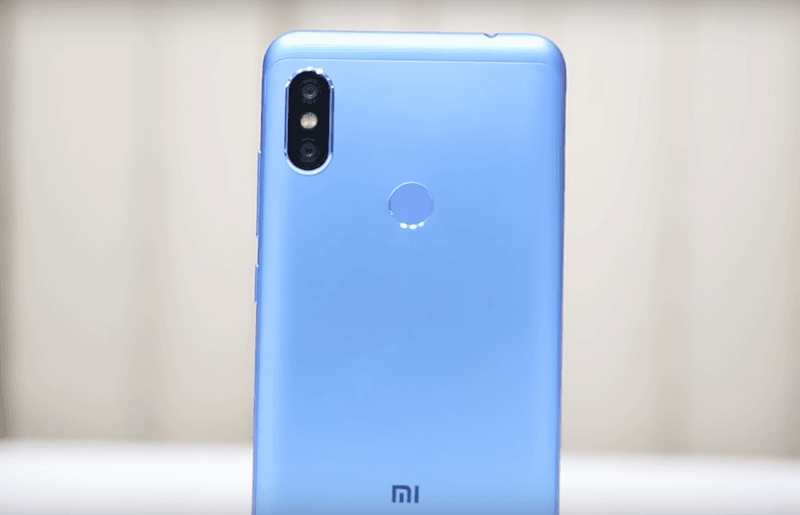 Another obvious change is dual selfie cameras, which we haven’t seen on any Xiaomi device in years. The battery capacity remains the same; the processor will be the same Snapdragon 636 SoC, and it will run MIUI 10 out of the box. Sorry …. No SD625 …. No buy !! Lol 660 is way faster than Mediatek Helio P60. 660 and 636 support 3CA whereas P60 supports 2CA. 660 is way better than P60.